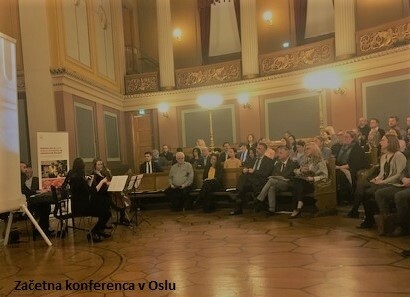 Between 26 to 28 March 2019 meetings were held in Oslo with the representatives of the Programme Operators for the educational programme in the beneficiary countries. At the opening conference and working meetings, representatives of the programme partners from Norway and Liechtenstein, representatives of Norwegian universities and representatives of the Financial Mechanism Office from Brussels sought opportunities to establish a successful bilateral cooperation. During the study visit of The European Wergeland Center, the participants were introduced to teaching methods of the educational staff for development of skills and competences for the 21st century. From Slovenia, representatives of the Programme Operator of the programme Enhancing Human Capital from GODC and representative from Cmepius, the operator of the Small Grants Scheme under this programme attended the meetings.